Sleeping Bear Dunes National Lakeshore is located near Traverse City in Northern Michigan. 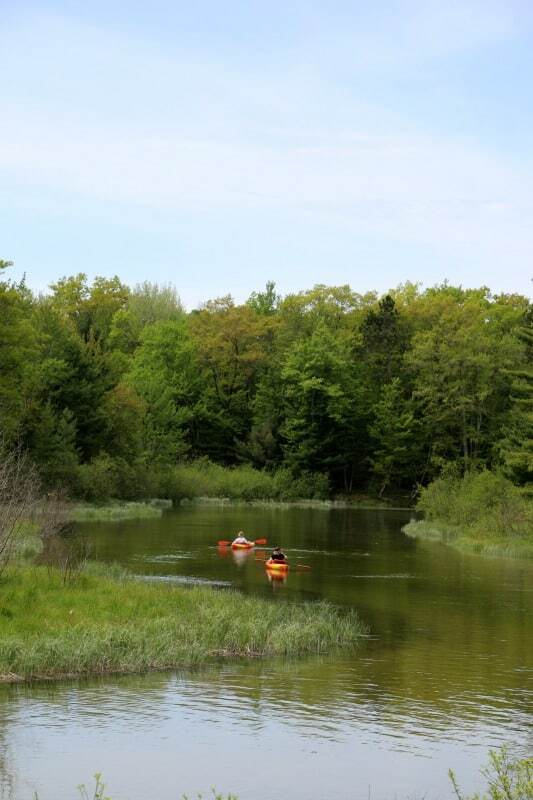 The park is situated on 65 miles of Lake Michigan shoreline and includes numerous inland lakes and streams! 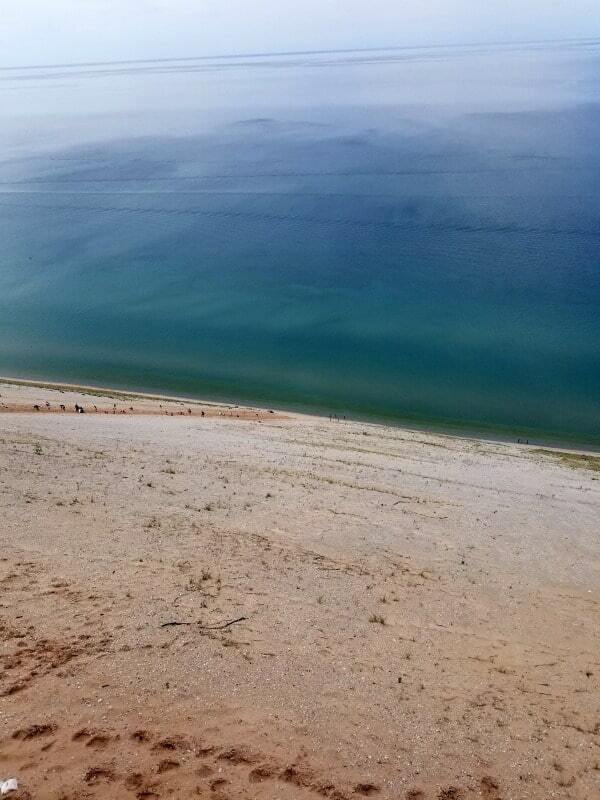 There is truly an abundance of things to do and see during a visit to Sleeping Bear Dunes. Our best tip is to give yourself time to explore and enjoy this park. While you can see a lot of the park in one day you are going to be zipping through it quickly and not have a lot of time to relax and soak up the beauty of the park. Sleeping Bear Dunes National Lake Shore encompasses over 50,000 acres along Lake Michigan and includes two easy to access islands, North and South Manitou. Hundreds of camping spots ranging from RV hookups to sites available only for backpackers. Numerous small lakes and rivers for fishing as well as 35 miles of shoreline on Lake Michigan just hint at the recreational activities. Oh yea and as the name indicates there are Massive Dunes to climb. The ranger stations even have dune climbing wheelchairs for dune and beach access. The park is open year round but many amenities are available May through September only. 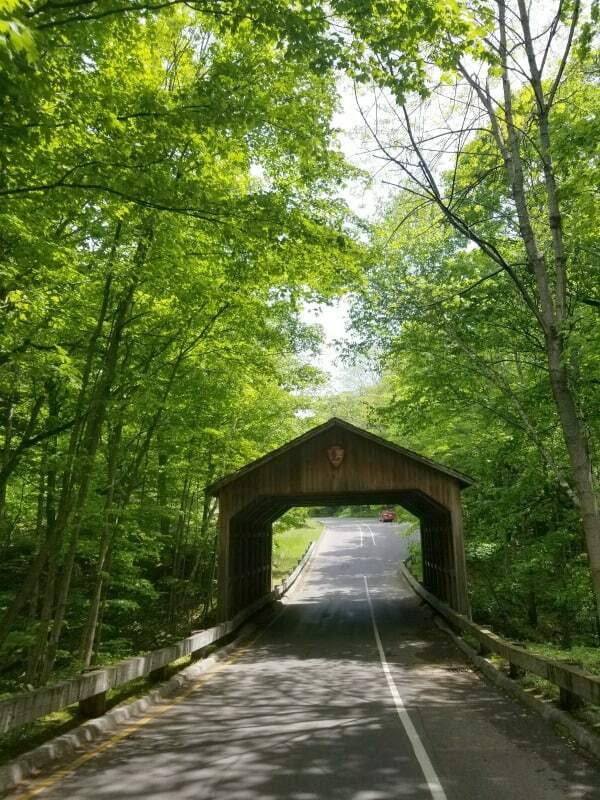 Located on the northwest edge of the southern peninsula of Michigan with access from US 72 and daily flights to Traverse City airport about20 miles away, the park is truly a getaway. Either directly in the park or adjacent to it are a canoe, kayak and bike rentals with guided tours or guide yourself options. In the winter cross country skiing is phenomenal. Within the park, there is a myriad of activities. 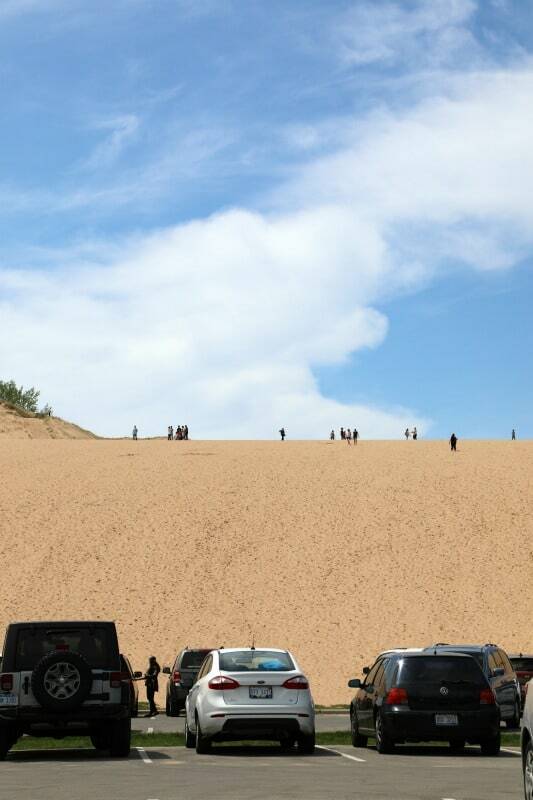 The Dune Climb is top on any kid’s list old or young. 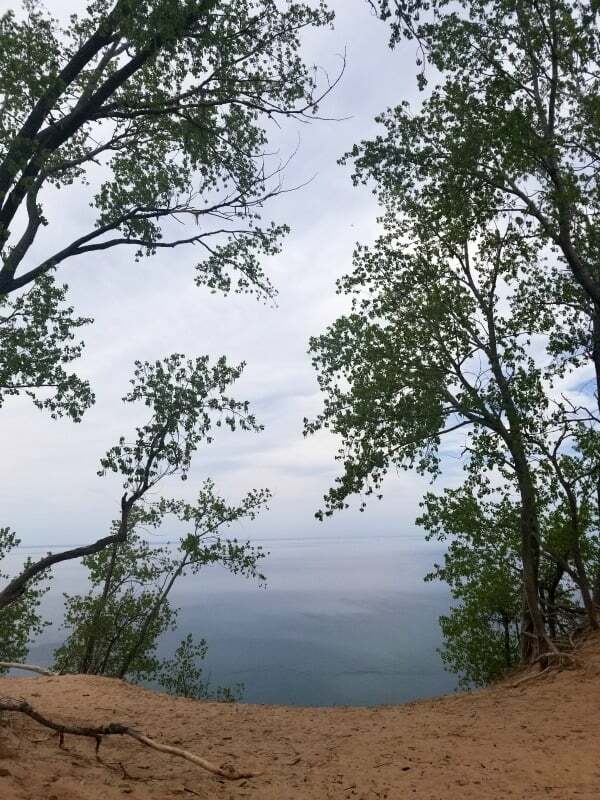 Pierce Stocking Scenic drive, a 7.4-mile scenic drive with overlooks of Lake Michigan, Sleeping Bear Dunes and Glen Lake. An 1870’s era lighthouse on South Manitou Island available for climbing and beautiful panoramic views. 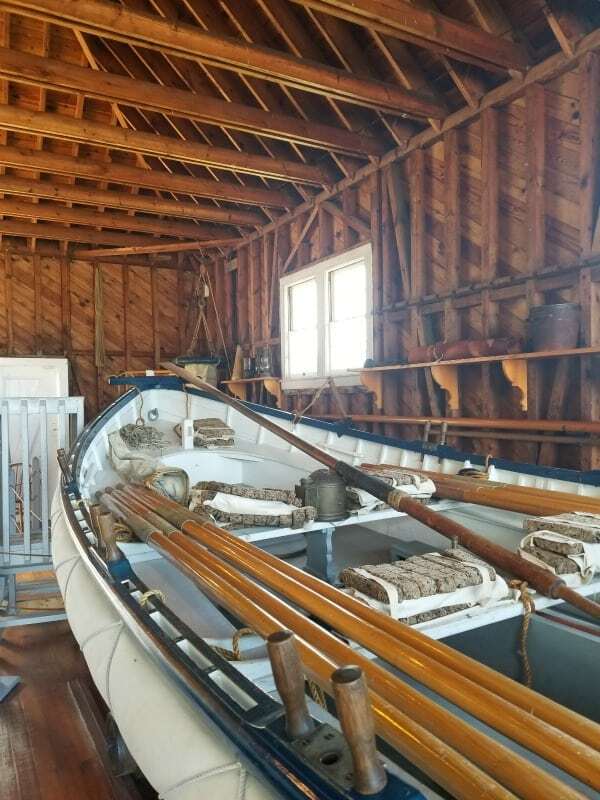 Glen Haven features a 1920’s era town complete with general store, blacksmith and two boat museums all with daily demos and historic talks. There are weekly passes available for $10 per non-commercial vehicle, $20 for an annual pass and the National Parks System Pass is good here as well. There are camping fees ranging from $5 dollars a night up to $12 depending on which campground. Electrical hookups are available for an additional $5 in those campgrounds available to RV’s. 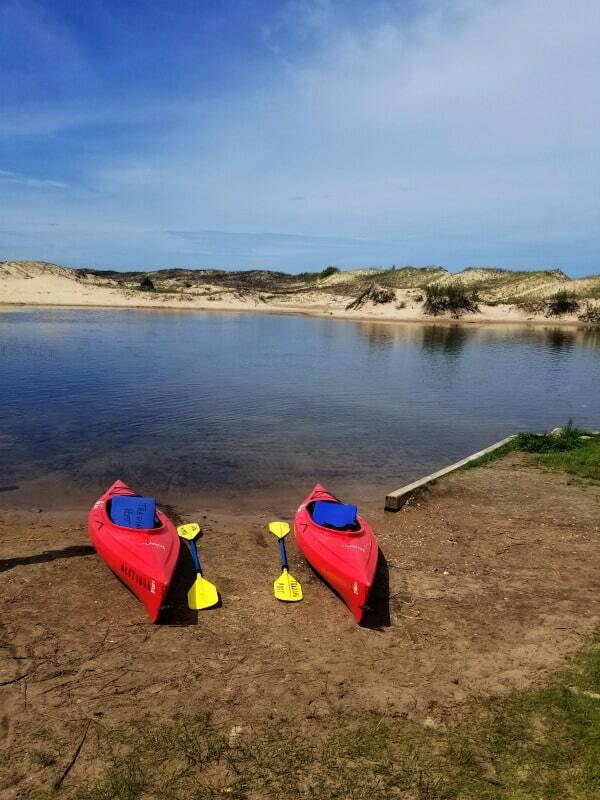 North and South Manitou Islands are accessible by ferry daily and have backpack accessible camping. Northern Manitou excluding the small village is 15,000 acres of wilderness for hiking. Adjacent to the park is cabin rentals and bed and breakfast options. 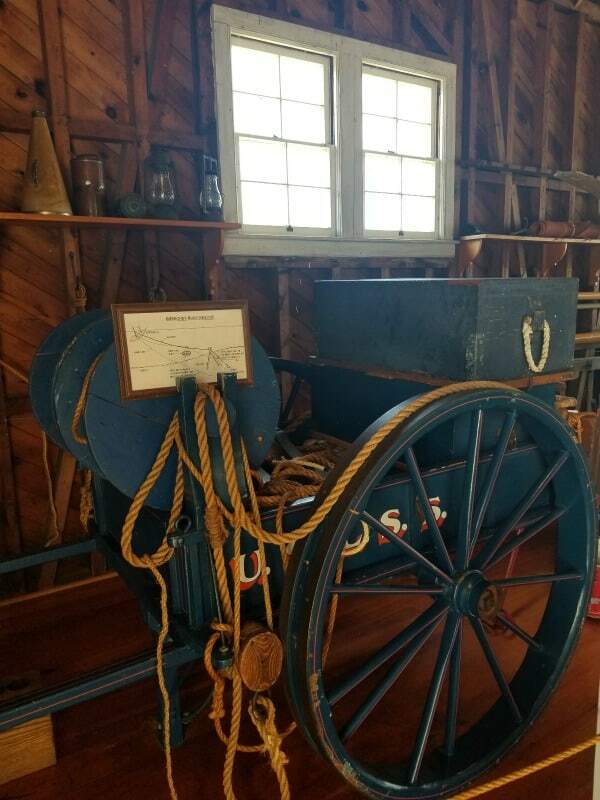 There is a tour featuring 20 farms that demonstrate turn of the century northern Michigan subsistent farming methods and tools. Summer events include the Dunegrass Blues Festival in Empire, a Food and Wine Festival featuring the 13 local wineries, a Polka Festival, a Car Show and an Annual Music Festival featuring jazz, folk and classical music by regional artists. 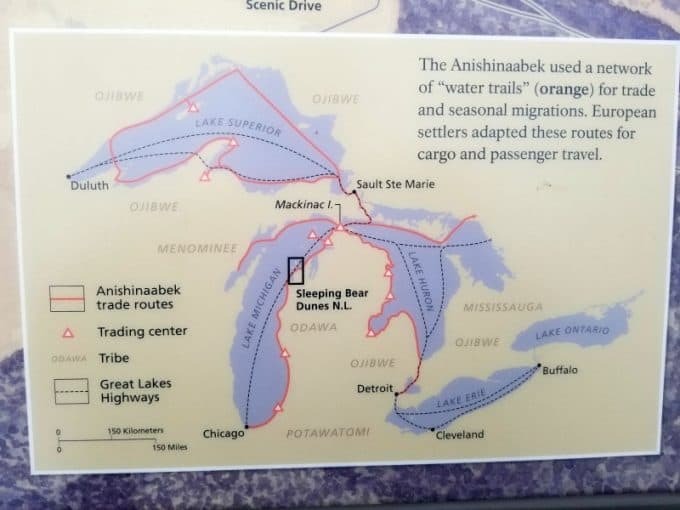 Have fun in the heart of the Ojibway legend of the Sleeping Bear. 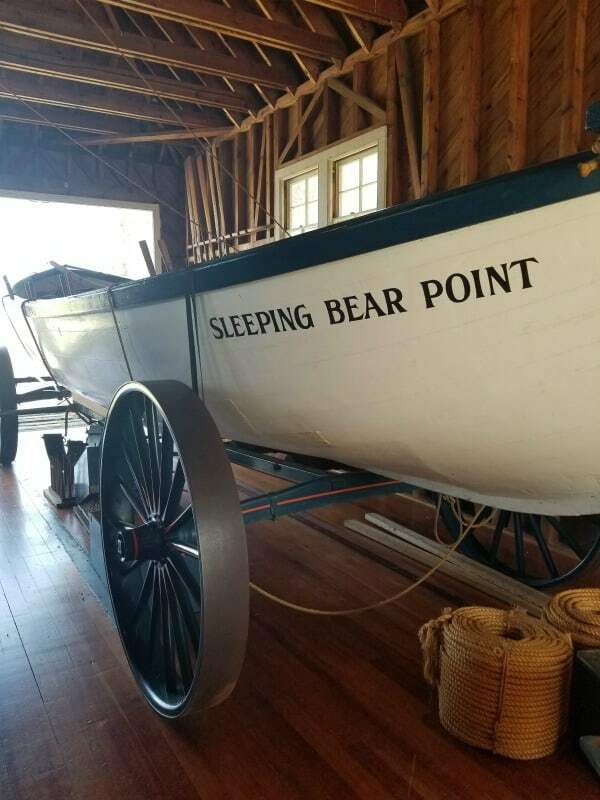 The Sleeping Bear Dunes visitor center is a great place to start your visit. 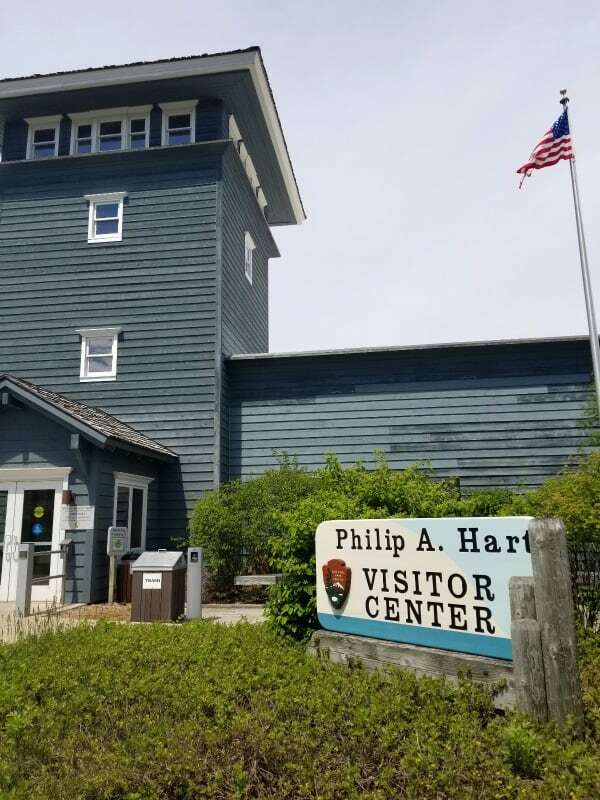 You can pick up all of the park brochures, find out any updated road closures or park info, grab a Junior Ranger booklet and watch the 20-minute slide show park presentation. If you are running short on time I would suggest skipping the slideshow presentation. It is a 20-minute video of photos during different seasons in the park. The visuals are beautiful but it does not provide a ton of information needed for your visit. 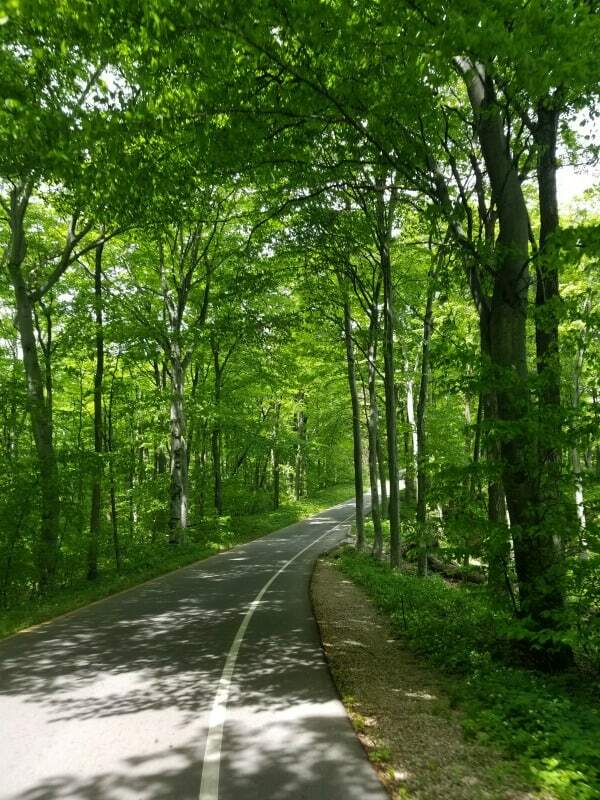 The 7-mile Sleeping Bear Dunes scenic drive is the perfect way to get a look at Sleeping Bear Dunes. The scenic drive is open from 9 am to 10 pm and the gates are closed each night. There is a pay station as you enter the scenic drive. Make sure and have your National Park Pass with you or a credit card is preferred for payment. Between stops 2 and 3 is the Picnic Mountain Picnic Area. This is a great spot to stop for a snack, bird watch and relax. We had great cell phone service at the overlook. Our service was spotty in most parts of the park but was great at this overlook. There are bathrooms available at this stop. Be prepared for the parking lot to be full and parking to be down the road. If you see a spot grab it! The scenic drive is a one-way road and you do not want to miss a parking spot. 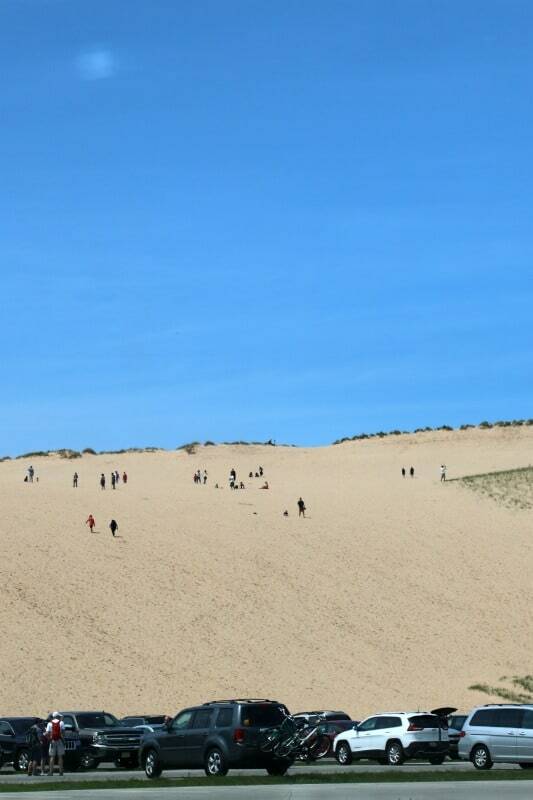 If you plan on tackling the Dune Climb please please please make sure you are prepared!!!! Make sure you have water and your ten essentials before you tackle this beast of a climb. If your kids are going with you please make sure they always stay in your sight. We heard that many times parents will let their kids hike to the top ahead of them and then when the parents get to the top they can’t find them. 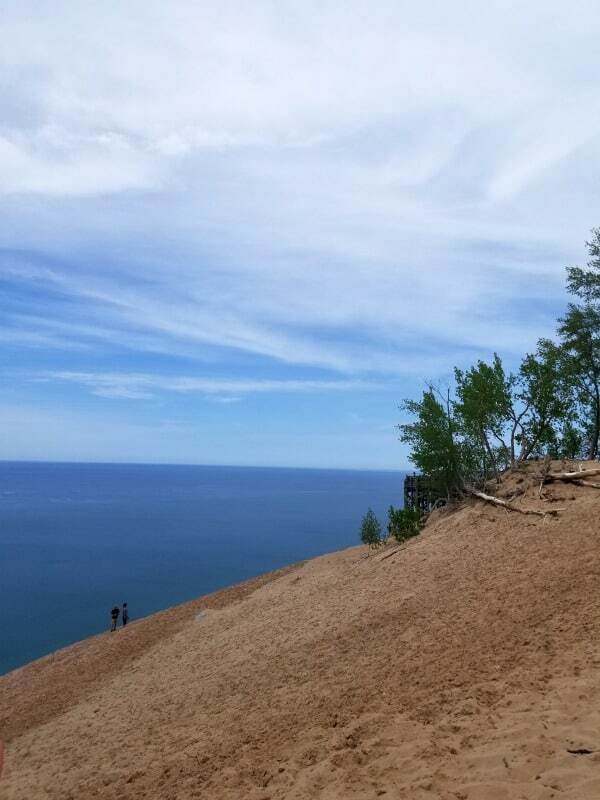 The 1st dune you top is one of 9 you have to scale to get to a view of Lake Michigan. Please make sure your kids do not run ahead of you and you can’t find them! We heard multiple emergency calls during our visit from parents who could not find their kids in the dunes! Also bring with you sunglasses, a hat, sunscreen, and snacks. The heritage trail is a walking/biking trail that runs through the park. 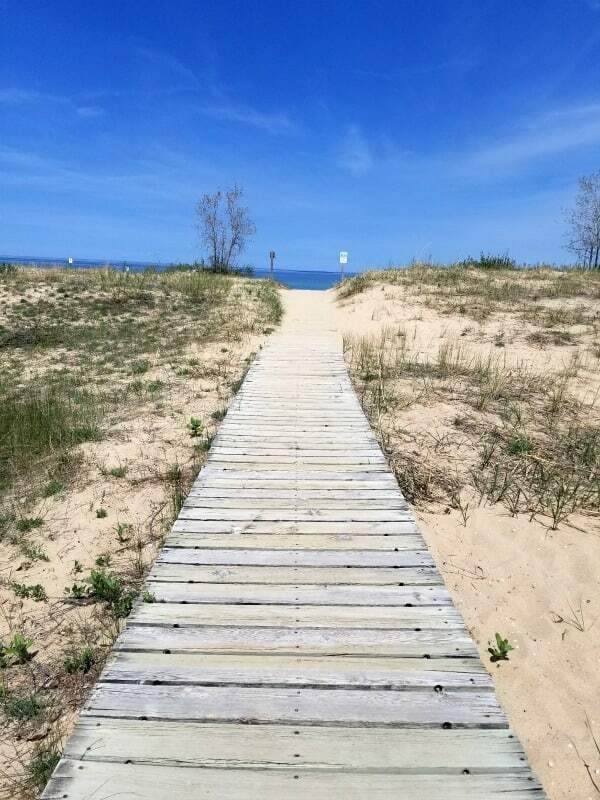 Sleeping Bear Dunes has 35 miles of Lake Michigan Beaches within the park. Pack a picnic, your swimsuit, towels and spend the day soaking in the gorgeous weather! 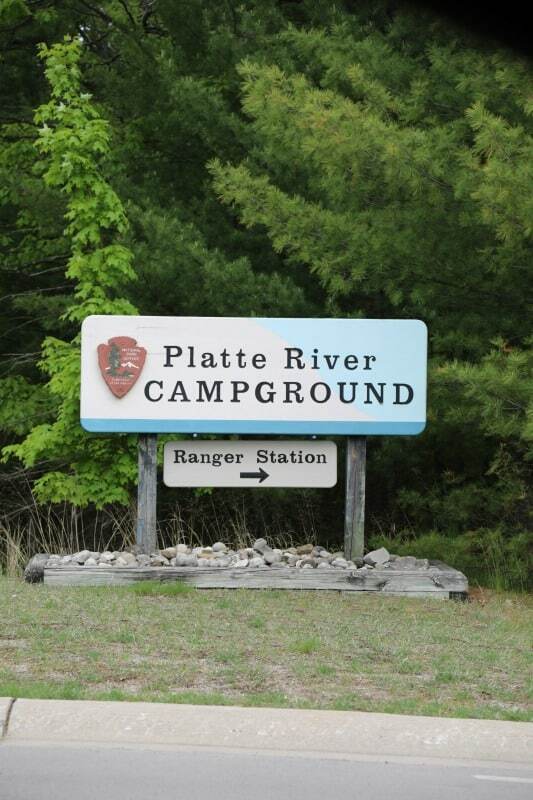 Multiple vendors offer canoe and kayak rentals near the Platte River. Learn about the life-saving efforts that saved many boats. The Junior Ranger program at Sleeping Bear Dunes is pretty inclusive of the entire park. Depending on your age there are specific numbers of activities to complete. The program will take you most likely the entire day to complete. There is a crossword, word search and some drawing included in the program. 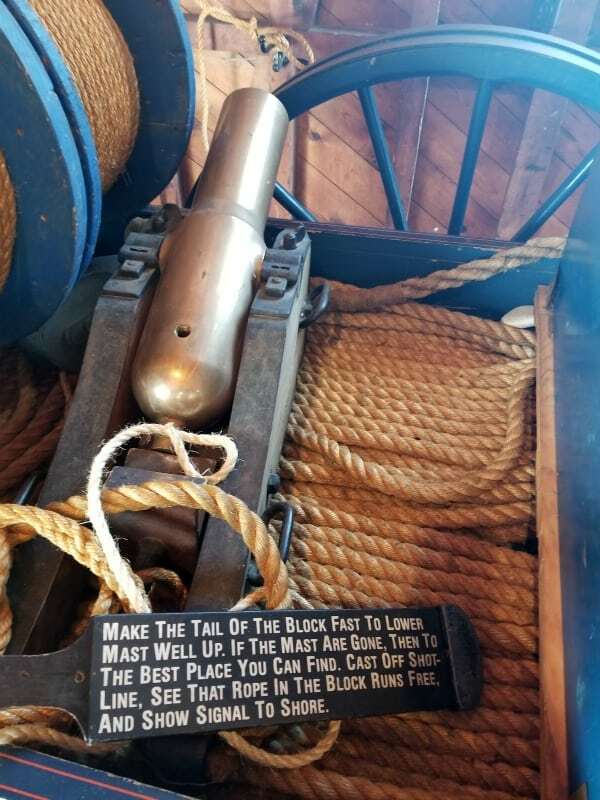 There are visits to the Maritime Museum and historic farm area included as activities. When you complete the Junior Ranger program you receive a great patch and gold plastic emblem pin. Manitou Island Transit offers full day tours that go to either North or South Manitou Island. The full-day trips are from 10 am to 5:30 pm. 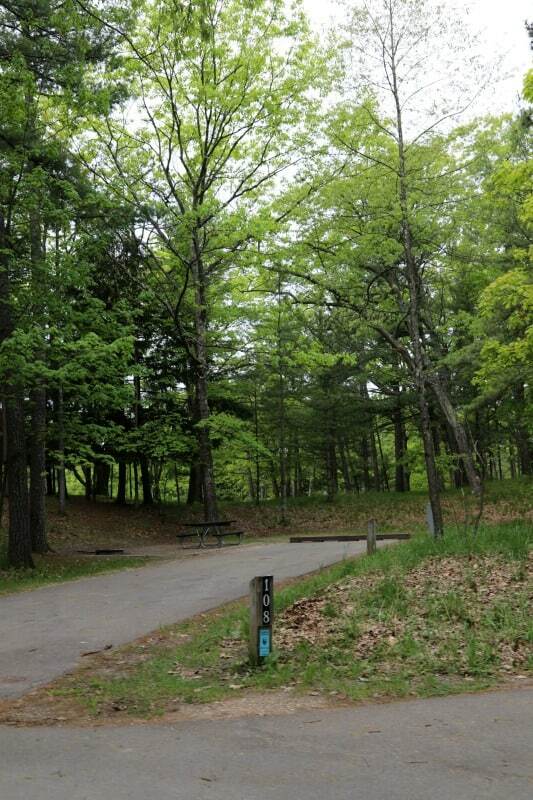 Sleeping Bear Dunes has two campgrounds within the park. There are both tent and RV camping available. 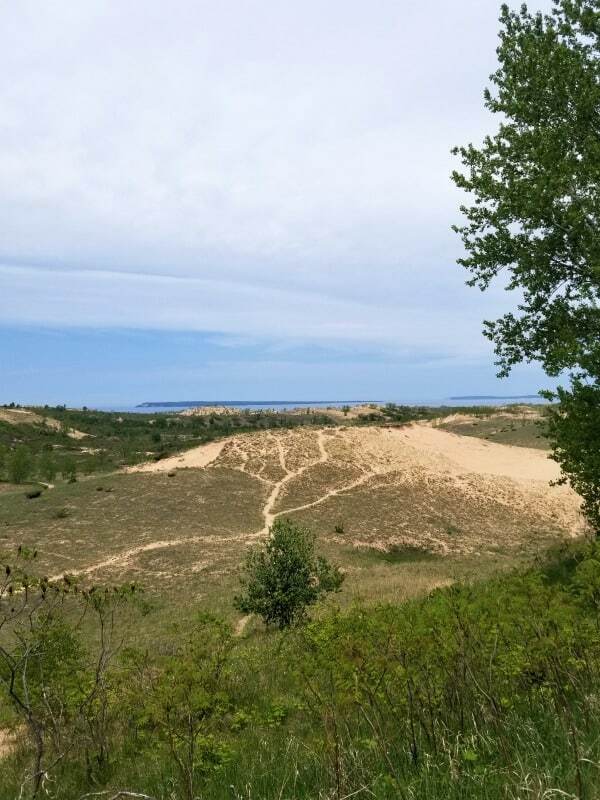 See our full post on Sleeping Bear Dunes Camping for info on all of the camping options. Make sure you pack bug spray!! We ended up paying $9 for a bottle of bug spray because we didn’t have any with us. The bugs were relentless without the bug spray. From the south (Detroit or Chicago areas) Take US-31, US-131, US-27 to M-115 & M-37, I-75 and M-72 North to Traverse City, then west on M-72 to the Village of Empire. You will see the visitor center as you enter Empire on your right. You may also get to Empire from the south via US-31 to Ludington and then north to Manistee. You can follow either US-31 or M-22 from north of Manistee. Empire, Michigan has a BP Gas Station and Village Inn Pizza near the Sleeping Bear Dunes visitor center. Gas prices at the BP station were similar to what we found in other towns in Michigan. Per Person Entrance Pass – $10.00, Visitors 16 years of age or older who enter on foot, bicycle, or as part of an organized group not involved in a commercial tour. Annual Park Entrance Pass – $40.00, Admits pass holder and all passengers in a non-commercial vehicle. Valid for one year from month of purchase.